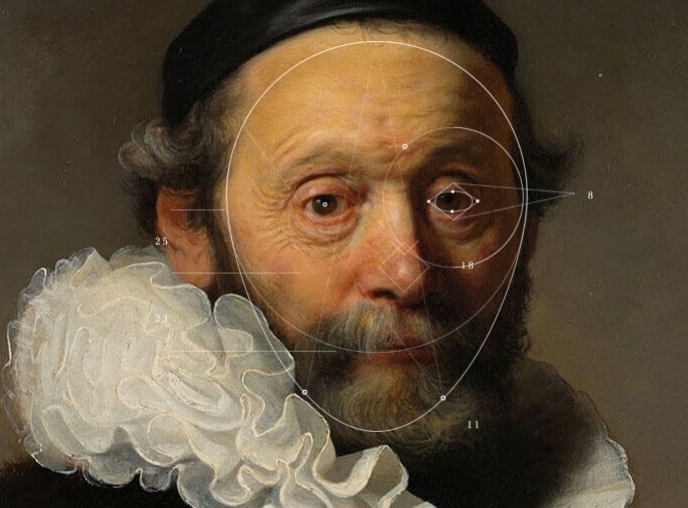 The Next Rembrandt is the name of the project, which was sponsored by ING and Microsoft and supported by the Delft University of Technology and several museums. If you can tease the story out of the over-elaborate site on which it resides, you’ll find a very cool multi-disciplinary effort that could as little do without its art historians as its image analysts. 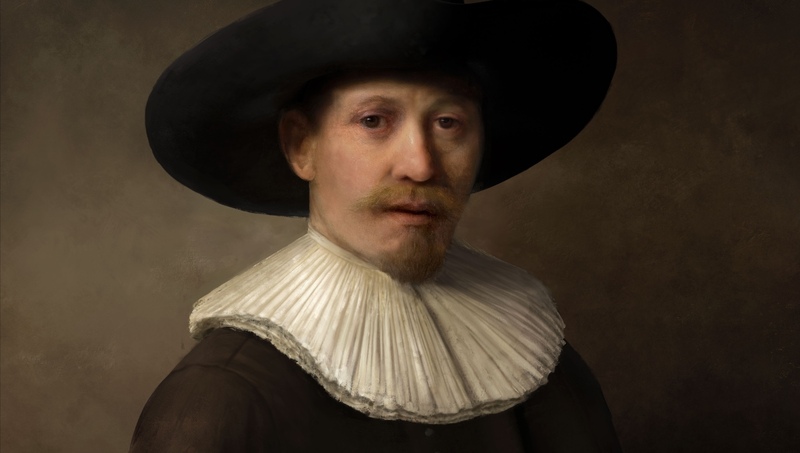 Rembrandt van Rijn’s entire body of work was analyzed for useful data on color, dress, topic, demographics, composition and all the rest. The researchers found the most data for white men with the standard 17th-century loadout of black suit, white collar and whiskers. More data often makes for better outputs, and in this case it would be a familiar subject, easy to compare with similar portraits. Next came the close analysis of individual features of his figures and paintings — what facial geometry did he prefer? At what angle from the viewer? How were individual strokes executed and groups of strokes organized? The painting was then summoned to the physical plane using a special 3D printer that reproduced something of the texture and craquelure one would expect of a painting from that era. No word on what the plan is for this interesting application of technology to art, but we’ll let you know if we hear it’s on tour. Could a trained art historian tell the difference between this wholesale fabrication and a real Rembrandt? Almost certainly, but that’s not really the point. Data so often thought of in subjective terms (the quality of light or nuance of expression is not easily quantified) was organized into a system and produced a synthetic painting of considerable merit, and probably, now that it has done it once, could do so a dozen more times with relative ease. Whatever the case, this project acts as powerful foundational work in the creation of what could in a few years be a successful generalized art-imitation machine. Get ready for some hard questions on aesthetics then. Isn’t it all just fascinating (and a little bit sublime)? Kudos to all involved in the 18-month process; here’s hoping the work has advanced the tech of capturing and preserving the original, “real” works, as well.